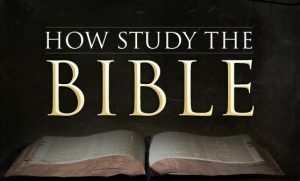 Would you like to go deeper in your bible study? Join us for a 2-week How to Study the Bible workshop that will give you the tools you need to read and study God’s work in a fresh new way! Complete the registration information below to sign up for this next class, or visit springbrook.org/bibleworkshops for future dates!